Today, I'm going to talk about two things. First, a piece of software that's been helping my writing no end, and next a little bit about my work with birds for those who are interested. The software is called Darkroom, and it's free to download. What it is, is a writing environment with no distractions. This is excellent for me and my kindred spirits, the notorious procrastinators of this world. Microsoft Word or Open Office can be distracting because of all the buttons, the options, the fact that the start bar with Firefox is still there... you get the idea! When you open Darkroom you'll see a completely black screen. When you type, it will be in green. I was skeptical at first, because I thought this combination would hurt my eyes, but it doesn't in any way. It's easy to get sucked into writing with this, and my productivity has probably increased ten-fold by using it. If you can't see distractions, it takes much more effort to be distracted! The only downside is that formatting, such as adding italics, has to be done in a Word/Open Office document. I paste my work into Open Office and made necessary edits there at the end of the day. Darkroom saves as you go so it's pretty hard to lose work, and even if you close the program and opt not to save it to a .txt file, when you next open it your work will still be there. You can download Darkroom here! But next, I thought I'd talk a little about my work. If you follow me on Twitter, you'll know that I work with various animals - in particular, corvids, and in particular Eurasian jays. These are some of them! Washington in the top-left and bottom-right, and Lisbon in the other pictures. They live in a huge outdoor aviary with options for hiding inside or sheltering from rain, and I help run studies on their behaviour. They're so much fun to work with - every single bird has a different personality, and I love them all! It doesn't help that they're so cute. Some will fly down to sit on my hand or take worms from me, others prefer me to toss them up for them to catch. Jeru, or Jerusalem, is particularly nifty at that. My personal favourite is Lima, the vainest bird - he loves the sound of his own voice, and sings whenever he sees me. Because it's breeding season, the birds have also started to talk. They can repeat all kinds of noises - so far I've had ambulance sirens, wolf-whistles repeated back to me, 'oy-oy-oy', 'hello... hello... hello...' and 'Liiima, Liiima'. I know for a fact that one bird can say extremely rude things, but I haven't had chance to hear him yet as he lives in another aviary. Jeru also makes a downright maniacal laughing sound, which is funny because she's the smallest and cutest bird. She also has a habit of doing a poo every time she sees me, before flying over for worms. I take it as a sign of love. I've met so many people from different places through it, as well as different animals. 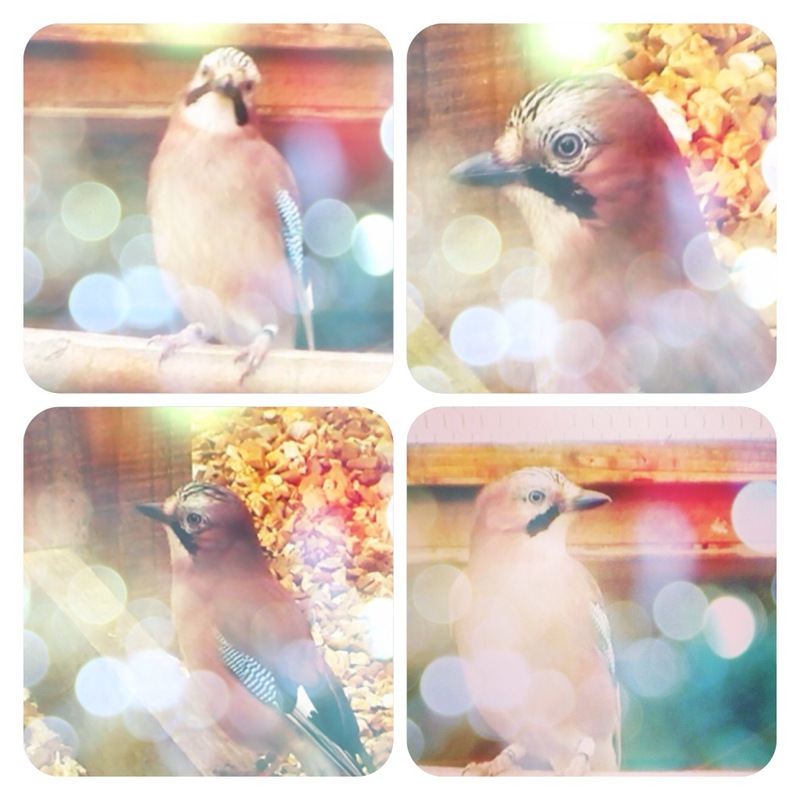 Oliver the fox, Russell the crow, a magpie and a wagtail and a wild jay who hangs around outside the aviaries. Scrub jays, rooks and jackdaws as well as my favourite Eurasian jays. YOU WENT TO THE HARRY POTTER STUDIOS??? I am jealous. Very, very jealous.